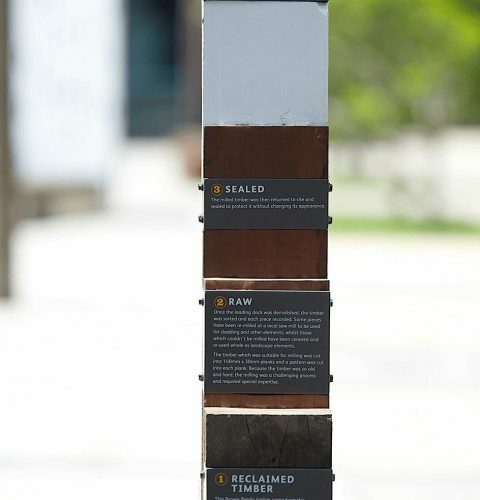 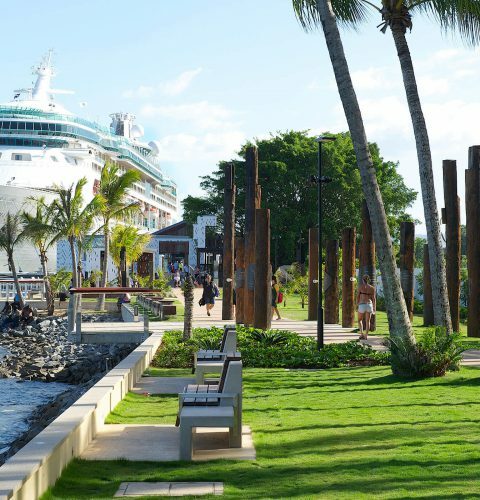 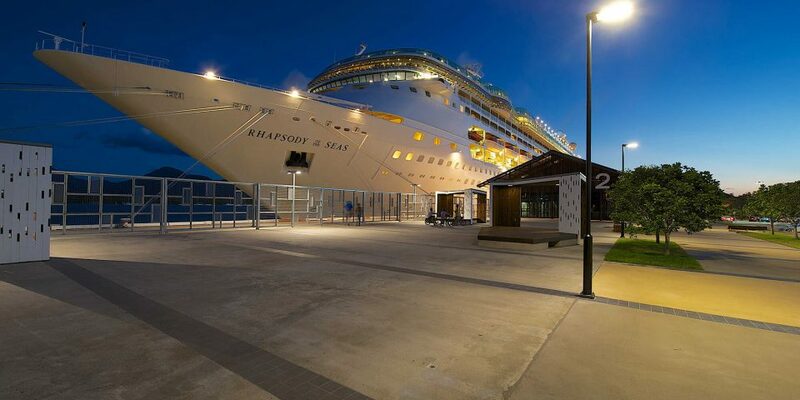 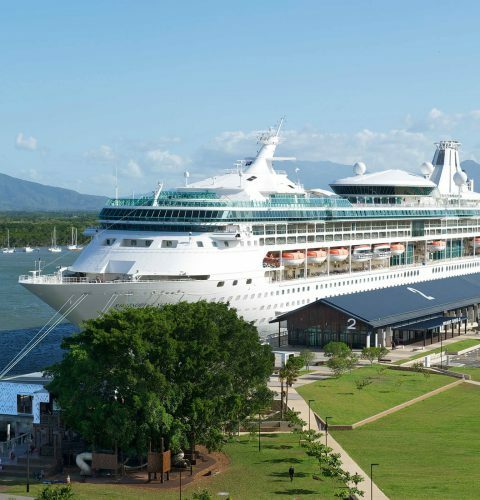 The Cairns Foreshore Redevelopment involves a series of quite different interventions to extend the public realm along the Trinity Inlet waterfront, completing a foreshore walkway of approximately 4 kilometres. 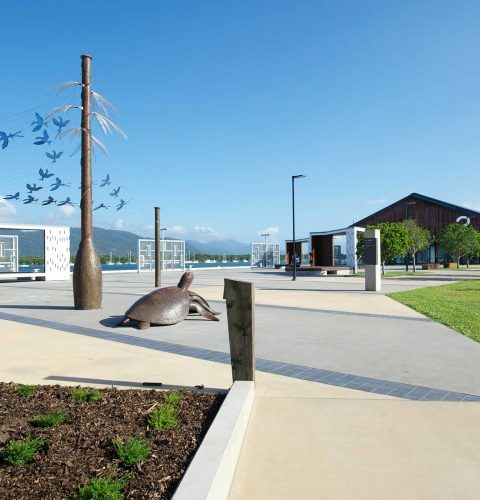 The project provides meaningful access to the water to the eastern perimeter of the Cairns CBD. 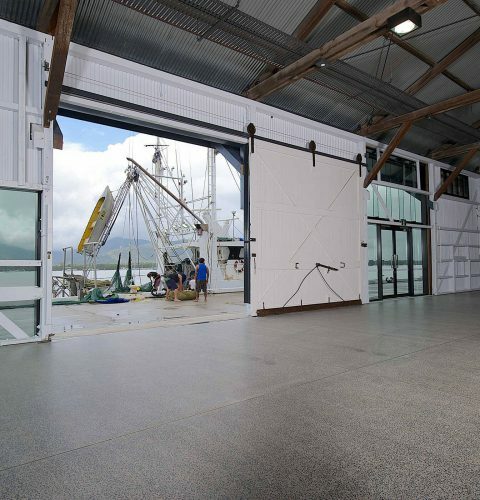 This working wharf area has been reallocated as public space. 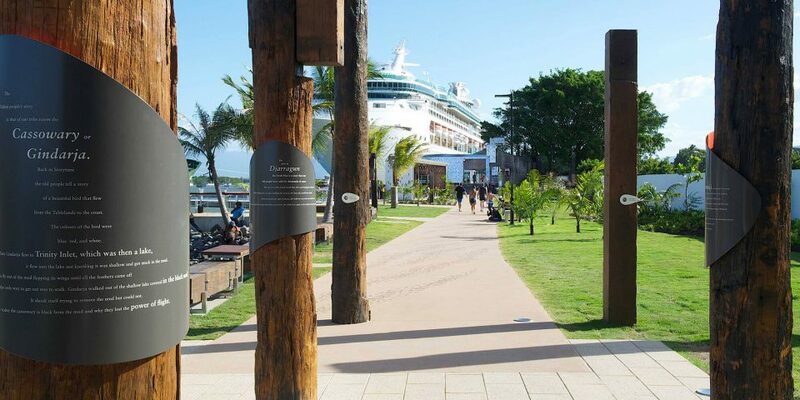 This “walk” is envisaged as a series of discrete public spaces progressing from tropical landscape through to the reclaimed heritage structures. 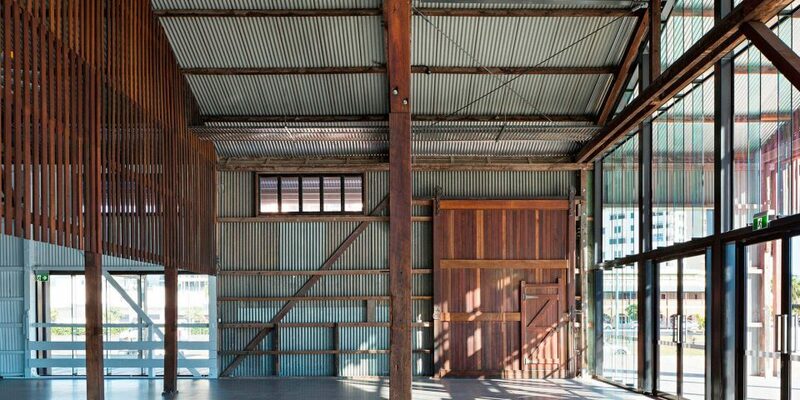 This journey is punctuated with a series of follies, clad with salvaged timbers from the site. 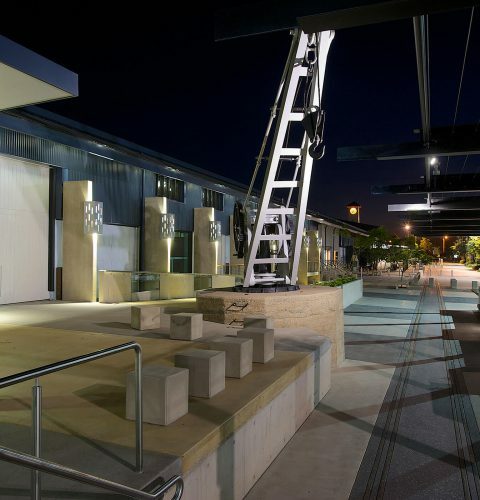 The outcome is a series of unique public structures knitted into the existing built and tropical landscape. 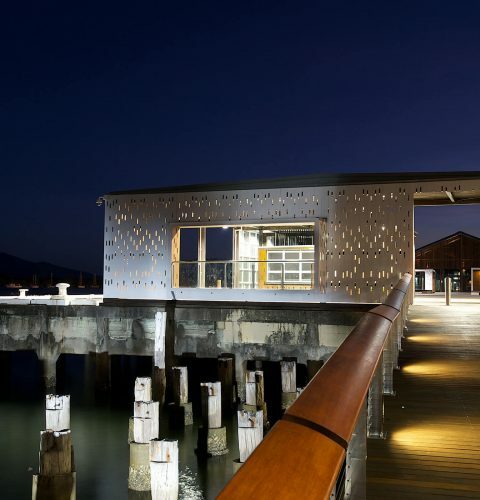 We worked with the heritage listed existing building, structurally re-enforcing it on the outside to retain the quality of the interior, re-using the poor quality timber as landscape furniture and artwork, and creating new spaces externally to transform a parade into a place to linger and enjoy the framed views. 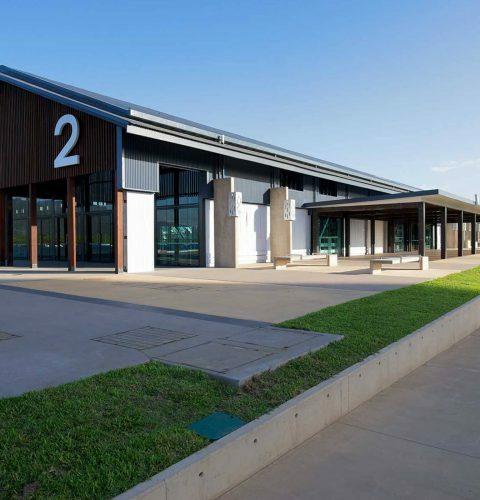 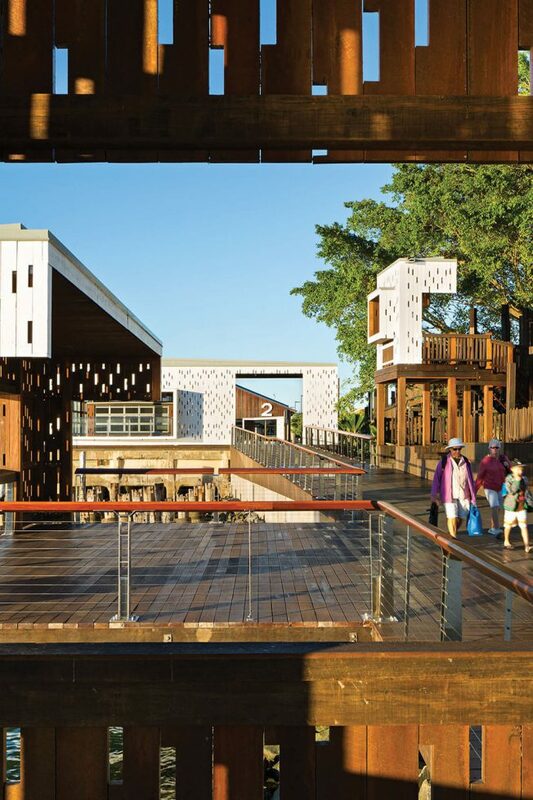 The redevelopment implements and combines suitable development solutions on a social, cultural, economical and environmental levels and received the Australian Institute of Architects’ Eddie Oribin Award for Building of the Year in the 2013 Far North Queensland Regional Architecture Awards, and the Don Roderick Award for Heritage in the 2013 Queensland State Architecture Awards – clear recognition of its contribution to Cairns and its history.